A report from the Bluegrass Bog this morning announces Tony Rice’s Santa Cruz guitar is up for sale. Here’s a special opportunity for all you Rice heads. Tony Rice is offering his personal, 2007 Santa Cruz Tony Rice model guitar for sale. This is a custom instrument, built specifically to Tony’s specs, and which he used on the road through much of 2007 and 2008. The guitar is being sold through Steve Swan Guitars, which has a detailed description of the guitar online, along with a number of close up photos. 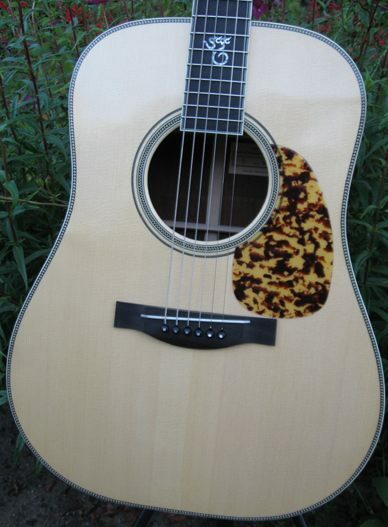 The guitar is pictured on Steve Swan’s Website and the asking price is $25,000.00. The Tony Rice model began in 1979 as a stage and touring replacement for Tony’s famous 1935 D-28, that was once owned by Clarence White. Rice needed a replacement guitar for this D28 rather than just a copy of its standard specifications to take on the road.